It is extremely difficult to estimate the cost of educating a child in South Africa. I have seen some articles which have taken a stab at it, but in truth there is not much value in these estimates. Why? Because there isn’t a single number applicable to everyone. There are just too many options and factors to consider as a child moves through the various levels of schooling - public or private, tertiary, boarding, choice of sports, uniforms, and stationary. However there is one cost - a silent killer - related to education which could sink any family's budget – and that is education inflation, or, eduflation (I made another word). When Stats SA publish inflation figures, they release some additional tables in which they break down general inflation into a number of categories - and Education is one of them. They then break Education down further into Primary And Secondary Education Inflation, Tertiary Education Inflation, and University Boarding Fee Inflation - and it is quite interesting to have a look at these numbers relative to general CPI. Looking back at some of the historical data, the inflation rate for Primary and Secondary Education has averaged around 9.1% - quite high, and in some cases, even clocking in with some double digit readings. This compares to the general CPI average of around 5.8%. Let me put it all into a pretty picture. The chart below shows CPI versus Primary and Secondary Education Inflation from 2009 to 2016. That blue line is consistently a good few notches above the grey one (except way back in 2009 interestingly). This all averages out to Primary and Secondary Education inflation being around 3.3 percentage points higher than general inflation. To give some perspective, if this trend continues, then for every R1 of school fees that you pay today, expect to pay R1.40 in 10 years time and R1.91 in 20 years time (and that's after general inflation is factored in). You will find that Primary and Secondary Education costs will become more and more difficult to manage as your child moves through the various grades. The historical picture for tertiary education inflation is also pretty grim. The #FeesMustFall movement did result in Government pushing through a 0% fee increase in 2017 (hence the 2017 omission from the chart below), but we shouldn’t fool ourselves into thinking that this will become the norm – even with increased pressure from the students. Tertiary Inflation versus CPI for 2009 to 2016 is shown below. Tertiary inflation has been outpacing general inflation by around 2.9% per year. Running some calculations based on the historical tertiary inflation data results some scary numbers. If you have a child in Grade 1 this year, expect to pay 40% more by the time that child is old enough to enter University than what you pay now for the same qualification – and this is after general inflation is taken into account. An estimate for tuition for the first year of a BA degree at the University of Pretoria is around R36 000. If the current trend continues, and you have a child in Grade 1 this year, expect to pay around R98 000 in 12 years time. Of course you could make your child fund their own Tertiary studies with a student loan and call your lack of planning "tough love". But this will mean your child will start their working career very much on the back foot. 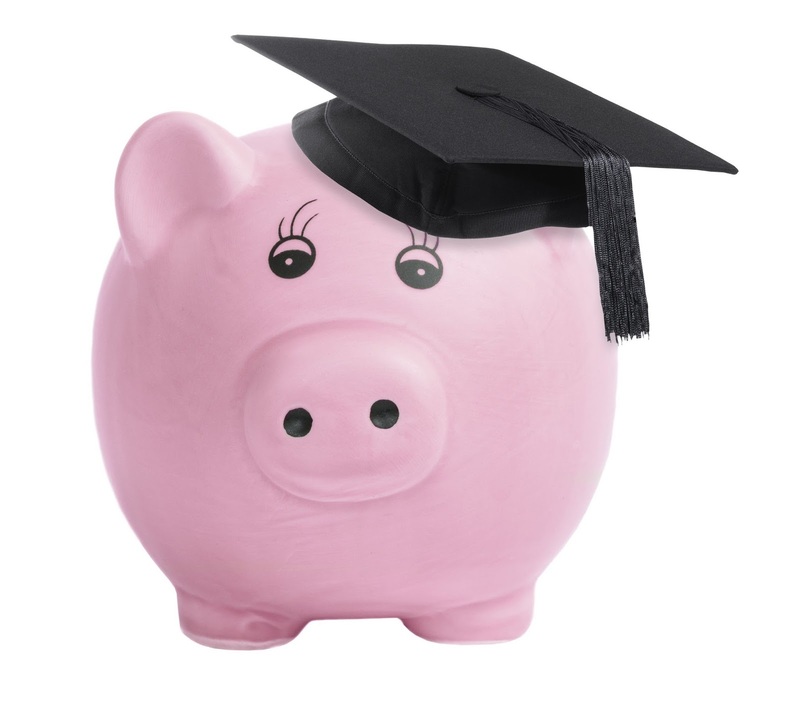 Student loans are fantastic products for the banks - because they get to charge interest as soon as the loan is granted, while payments towards the loan only begin when the student starts working. A student who lends money at the start of a 3 year course at 12% interest will find their debt has grown 40% before the first payment is even made. This can turn into a nasty blemish on their personal balance sheet and could adversely affect applications they may want to make for car or home finance. To summarise the historical education inflation picture, the chart on the right shows the average inflation rate of Primary and Secondary, and Tertiary Education versus CPI. You can see that your CPI related salary increases are going to have a tough time keeping up. As time moves on you will probably find that education costs start making up a larger and larger part of your monthly budget, and you may well have to take money from other categories to make up the difference. I think it all comes down to the amount you decide to spend on school fees in the very first year of your child’s education. I think this is the most important decision you make. The reason I say this is because that is your line in the sand - and all future education cost increases (above inflation) will be based on this point. If you decide to maximise this cost at the beginning, you are going to find it difficult to keep up with the increases, and may even end up in debt, or having to move your child to a cheaper school. Also, if this cost is maximised, and you are already stretched, there is going to be no money left over for you to simultaneously try start saving for your child's tertiary studies. Maybe a good way to approach this is to decide on the amount you can afford to spend on school fees, and then choose a school whose fees are a little below that. If you are able to to do this, it will not only give you some important wiggle room to allow for the rate of education inflation, but may allow you to simultaneously save for Tertiary studies. For those of you with unborn children, or children yet to enter the schooling system, use this time now to start putting some money away for education - your future self will be very grateful you did. If your response to this is that you can't afford to put any money away now, I don't mean to be harsh, but I've got to wonder how you are plan on paying for school fees when the time arrives?